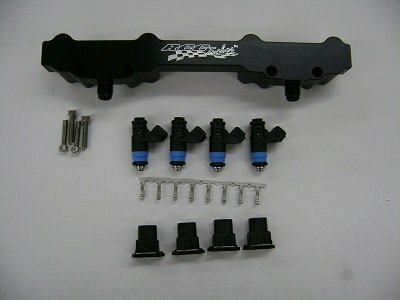 This is a Gen 2 Hayabusa billet fuel rail with 62 lb injectors in the upper location. © 2018- All images and content on this site copyright of Powerhouse Motorcycles, New York. Unauthorized use of these images or content without written permission of Powerhouse Motorcycles, New York is an infringement of copyright law and will result in legal action. All rights reserved as protected by Federal copyright laws.